Pencak Silat or Silat is a martial art originating from Southeast Asia. This martial art is widely known in Indonesia, Malaysia, Brunei, and Singapore, the southern Philippines and southern Thailand in accordance with the spread of ethnic Malay archipelago. 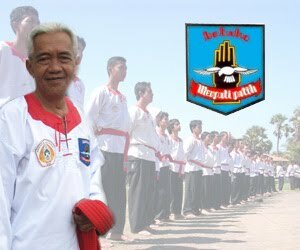 Pencak silat in the parent organization is the Association of Pencak Silat Indonesia Indonesia (IPSI). Organizations that embody martial arts federations in various countries is Pencak Silat Guild Between Nations (Persilat), formed by Indonesia, Singapore, Malaysia and Brunei Darussalam.